A Great Night for Skookum Rotarians, Families and Friends. We relaxed and had Pizza, Pasta, Salad & Beverage. 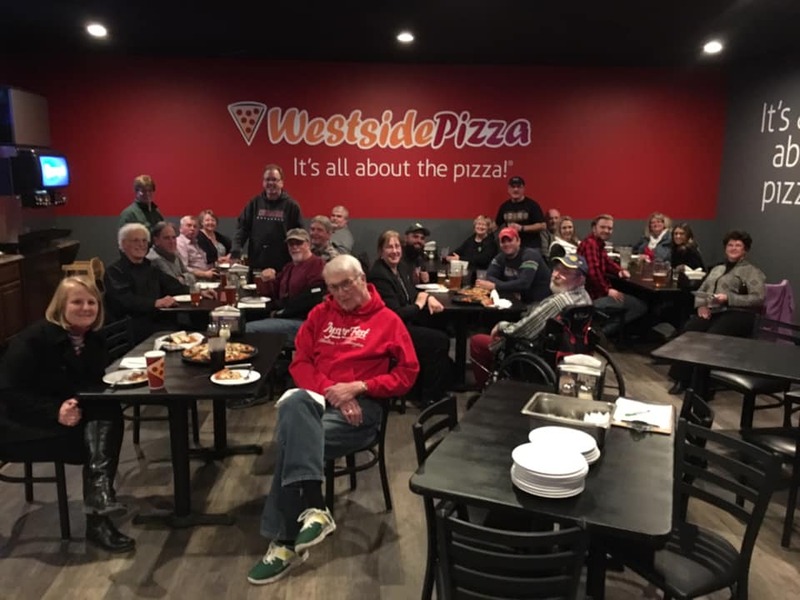 We caught up with some members we had not seen for a while and enjoyed great conversation and good company. Main talk for the night was "Let's Do it Again!" 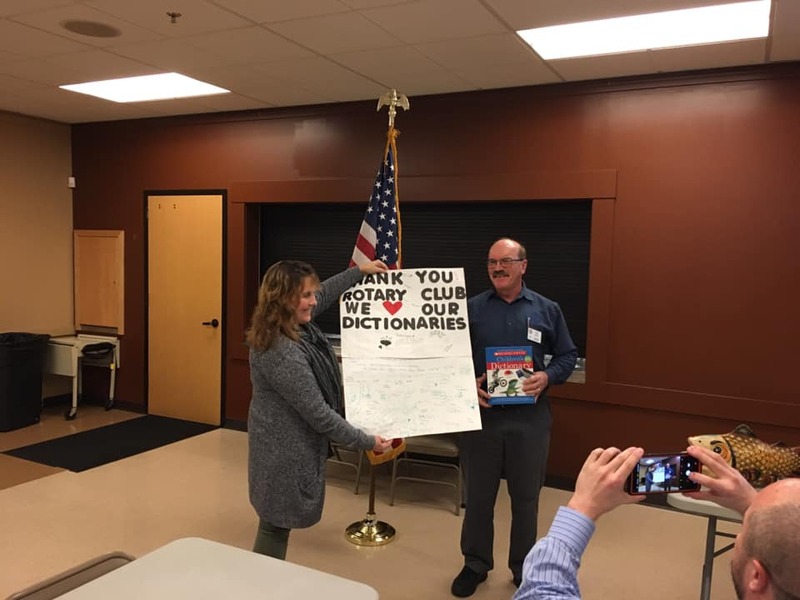 Librarian, Candace Ranney, from Mountain View Elementary School Librarian Presents a Student Thank You to Skookum Rotarians for their 4th Grade Dictionaries. 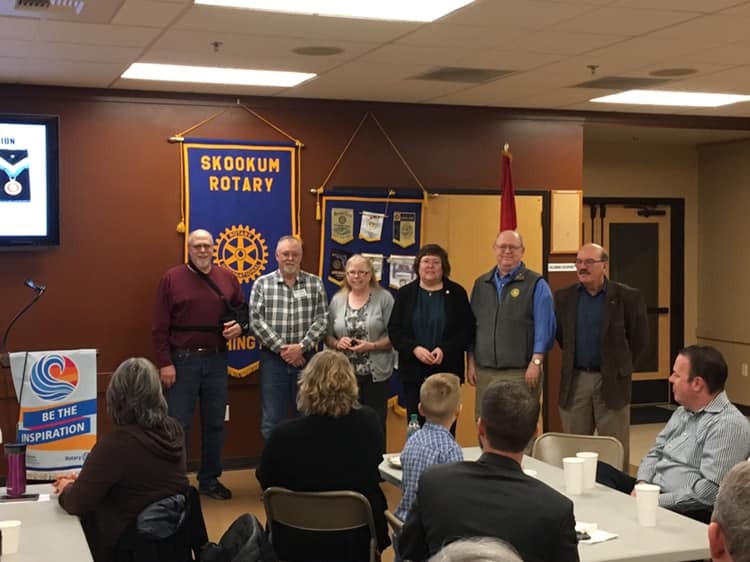 Almost 400 Dictionaries were sent home with students in Mason County after they were given instructions by Skookum Rotarians and our wonderful School Teachers. Mike Barnard presents Paul Harris Plus Awards to Three Skookum Club Members. Thanks to Denis Leverich, Nancy Kissner & Stacey Wickett, for your continued generous donations to the Rotary Foundation. Each of these are multiple Paul Harris Fellows in recognition of their generosity. 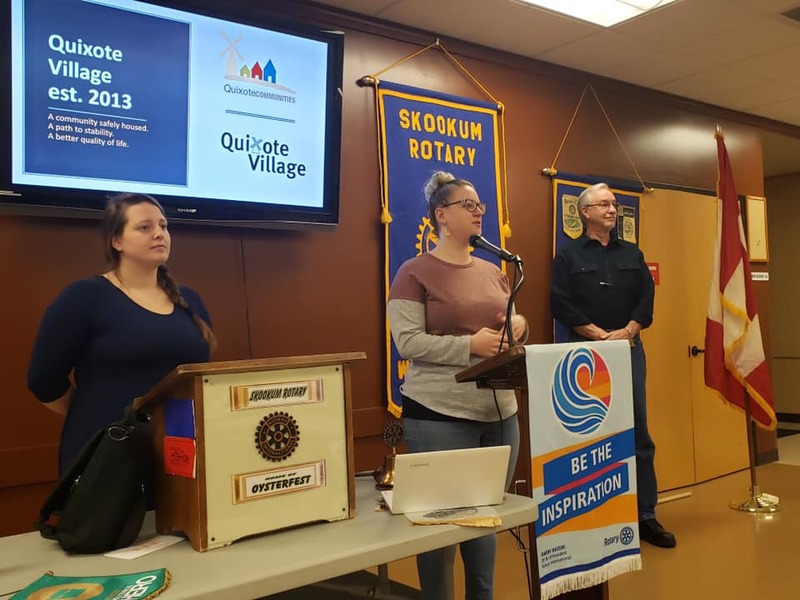 Jayci Osterverg and Other Quixote Village Personnel Talk to Members About Tiny House Village Experiences in Lacey and Plans for a Veterans Tiny House Village in Shelton. 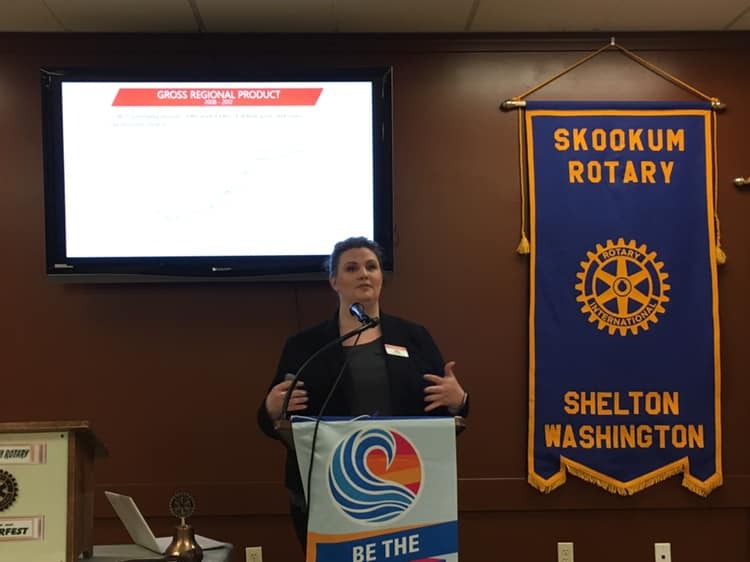 Jennifer Baria, Executive Director, Economic Development Council of Mason County presented a very interesting program providing information about the economy of Mason County and hopes for future development.